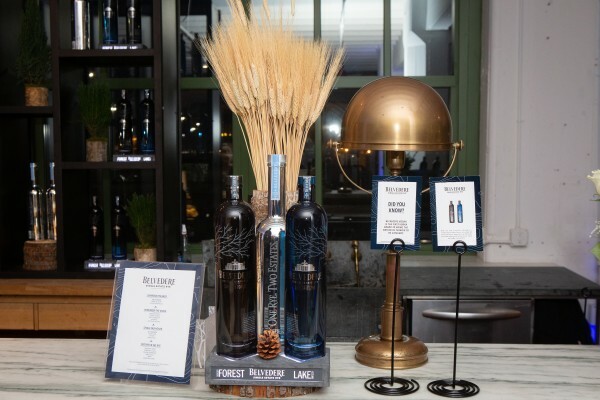 Belvedere's 'Single Estate Rye Series' is comprised of two different vodkas known as Smogóry Forest and Lake Bartężek. Both bottles retail for $45 and are made from the exact same rye; specifically Polish Dankowskie Diamond Rye, yet both bottles have different tasting notes to them. With Belvedere's Smogóry Forest, the rye is grown in western Poland and produces a liquid (aka the vodka) with notes of salted caramel. honey, and white pepper with a sweet and salty finish. On the other hand, the rye in Belvedere's Lake Bartężek is from a region in northern Poland that's best known for having crystal-clear glacial lakes with snowy winters. Tasting notes of Lake Bartężek comprise of black paper, toasted nuts, and cream. Both bottles from Belvedere's 'Single Estate Rye Series' are available at select restaurants and aren't sold in stores yet; however, if you want to be a cheater, you could always purchase said bottles on Clos19.